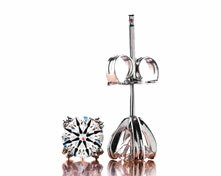 Hand Made 3 stone martini pendant with 1/4" rounded bars between each basket. Price includes 16" fine cable chain. Custom made to size of diamonds and a final sale. Price is for setting only. Select your diamonds from our extensive online diamond inventory. 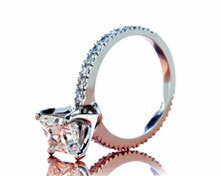 Note: Diamonds in catalog setting are 0.30ct, 0.55ct and 0.75ct Brian Gavin Signature Hearts and Arrows diamonds.